Inconel 625 Plate is a nickel-chromium alloy suitable for corrosion and oxidation resistant, high strength and fabricability. 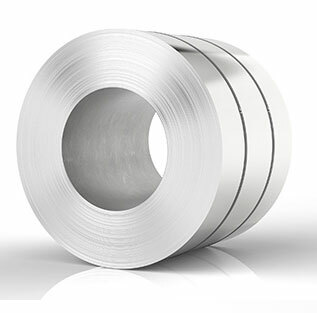 Because of Inconel 625 Shim resistance to corrosion, pressure and heat, Inconel 625 is ideal for applications in the power industry, aerospace, and chemical processing components and hardware and marine industries. These Inconel 625 Strip & Inconel 625 Coil also can handle extreme corrosion and oxidation from harsh environments. Inconel 625 Clad Plate is designated as UNS N06625 and Werkstoff Number 2.4856. Cutting of Alloy 625 Plate is often done with a waterjet cutter. Internal threads can also be cut by single point method on lathe, or by threadmilling on a machining center. 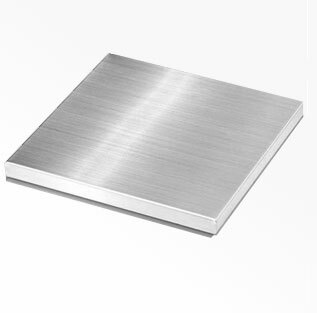 Alloy 625 Plate also known with other trade name such as Inconel Alloy 625 Plate are Haynes 625 Plate, Inconel 625 Plate, Nicrofer 6020 Plate, Nickelvac 625 Plate, Chronic 625 Plate, and Altemp 625 Plate, Superimphy 625 Plate, Chronin 625 Plate, Pyromet 625 Plate, Supermet 625 Plate and Udimet 625 Plate. Inconel 625 Lcf Sheet is a variant of INCONEL® 625 Sheets. LCF stands for Low Cycle Fatigue. This means that the alloy has improved cycle fatigue properties and better thermal fatigue resistance. Alloy 625 Foil, Inconel 625 Shim Stock, UNS N06625 Plate & UNS N06625 Grade 2 Plate can be cold formed by standards methods. Looking for best price of UNS N06625 Inconel 625 Sheet in India? We have no minimum footage requirements. We will supply the exact amount of 2.4856 Inconel 625 Sheet you require even if it’s small quantity of 2.4856 Alloy 625 Plate. Contact Steel Tubes India- the right supplier of Inconel Alloy 625 Plate near you. Steel Tubes India offers one of the widest ranges of Alloy 625 sheet (AMS 5599 / 5869 Plate, Sheet & Strip) in various qualities, sizes and grades which are equivalent to SB 443 Material & ASTM B443 Alloy 625 Plate (2mm to 12mm). ASTM B443-625-GR 1 Sheet is available in thicknesses ranging from .016 to .156". Large size ASTM B443 UNS N06625 plate will also diminish the size of the undesirable heat-affected zone caused by welding. We also stock & supply extra large-size SB 443 UNS N06625 Sheets, thin and ultra-thin gauge SB 443 UNS 06625 strip and foil products, rolled down to 2 microns. Superior technology as well as extensive quality control from steelmaking to finishing assure the stable production of SB 443 N06625 Plates in uniformly of excellent quality. 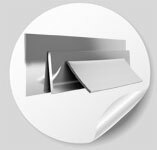 We apply the process of surface finishing to our SB 443 Alloy Plate by pickling or buff-polishing. Inconel 625 Strips levels of finishing & cut can be adjusted according to your requirements. SB 443-625 Plate is available in the form of Sheet, Coils, Foils, Rolls, Plain Sheet, Shim Sheet, Strip, Flats, Clad Plate, Rolling Sheet, Flat Sheet, Rolling Plate and Flat Shim. The Inconel 625 Plate Weight Calculator allows you to calculate an estimate of the weight of different sizes of SB 443-625 GR.1 plates based on dimensions and shape. SB 443 NO6625 Shim is sold in either 300mm or 600mm rolls and sheet form. The thin material can be used in power plants, nuclear plants or gas and oil refineries. Our Dealers & Distributors in UK, USA, Sweden, Israel, Germany, Russia, France, Italy, Canada, UAE, Saudi Arabia, Malaysia, Singapore, Oman, Kuwait, Qatar, Iran, Indonesia & Australia arrange complete range of ASME SB443 Inconel 625 plates in shortest time as well at best price, because we maintain ASTM B 443 Inconel 625 Sheet in stock for sale, so it saves time & cost to procure any size range in Bright annealed Inconel 625 sheet from any other vendor or Manufacturer of mirror finish Inconel 625 plate in India. Inconel 625 plate price per kg in India is Rs. 3200/Kilogram. So going by this rate, it would imply that in the United Kingdom, the price of 2.4856 Alloy 625 Plate per kilogram is 34.95 Pounds. But it is not necessarily so, as what the price is in India for Inconel 625 Foil, is not necessarily the same in countries like Japan, Europe, China, Singapore, UK, USA, etc. Take for example in the United Kingdom, the price of Inconel 625 Lcf Sheet per kilogram could be 30% more than it is in India. Also, take another example, the price of Alloy 625 Strip per kilogram could be 35% less in India, than what it is in America. Also of importance to note is that the price of Inconel 625 plates, tends to fluctuate from time to time. Available in thicknesses from .031" nom. to .078" nom. 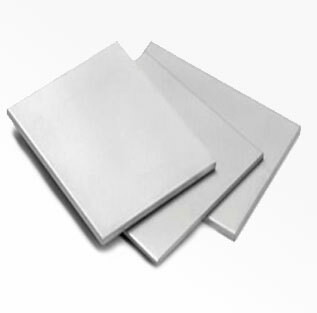 Inconel 625 Clad plate: Inconel 625 Clad plate is a composite steel plate made by bonding Inconel 625 plate, etc. Inconel 625 sheet thickness varies and it can also be obtained based on the needs of the client. Inconel 625 Chemical Composition is Cr 20 – 23, Nb 3.15 - 4.15, S Max 0.015, Al Max 0.4, P Max 0.015, C Max 0.1, Si Max 0.5, Mn Max 0.5, Mo 8 – 10, Co Max 1, Ni Min 58, Ti Max 0.4 and Fe Max 5. Inconel 625 has an Ultimate Tensile Strength of 128000 psi (880 MPa). The Yield Tensile Strength of Inconel 625 is 66700 psi (460 MPa). If thickness greater than 6.35 mm is called a Inconel 625 Plate. If thickness greater than 0.15 mm and less than 6.35mm is called a Inconel 625 Sheet. If thickness less than 0.15mm is then its a Inconel 625 Foil.